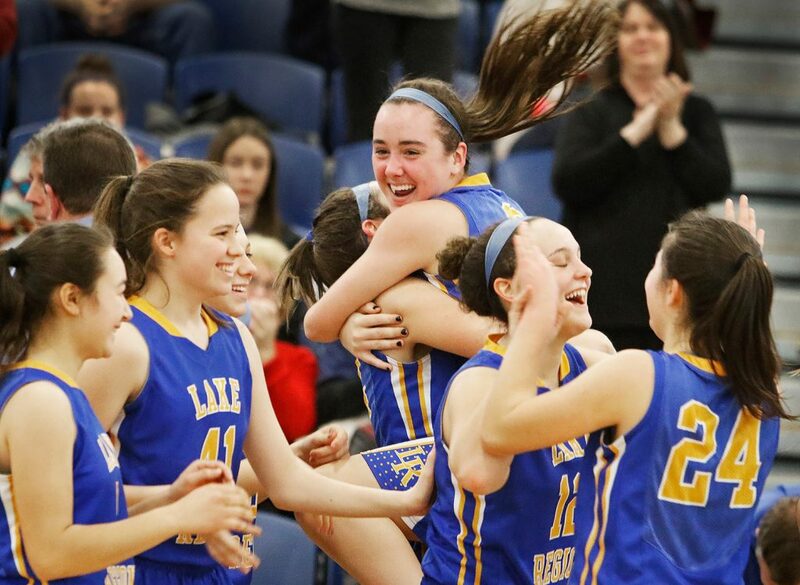 The Lakers advance to the Class B South semifinals after a 45-30 victory. 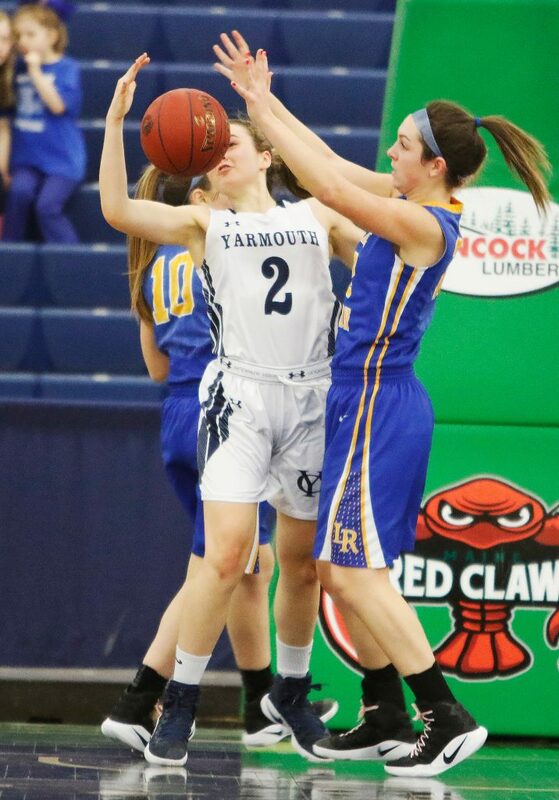 The Yarmouth girls’ basketball team couldn’t stop Lake Region’s 3-point shooting or ability to get to the free-throw line in a Class B South quarterfinal Tuesday afternoon at the Portland Expo. The No. 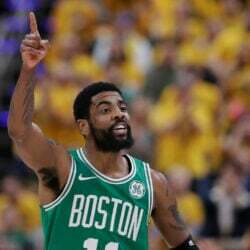 5 Lakers hit five 3-pointers in the first half and made 20 of their 29 foul shots en route to a 45-30 victory over No. 4 Yarmouth. 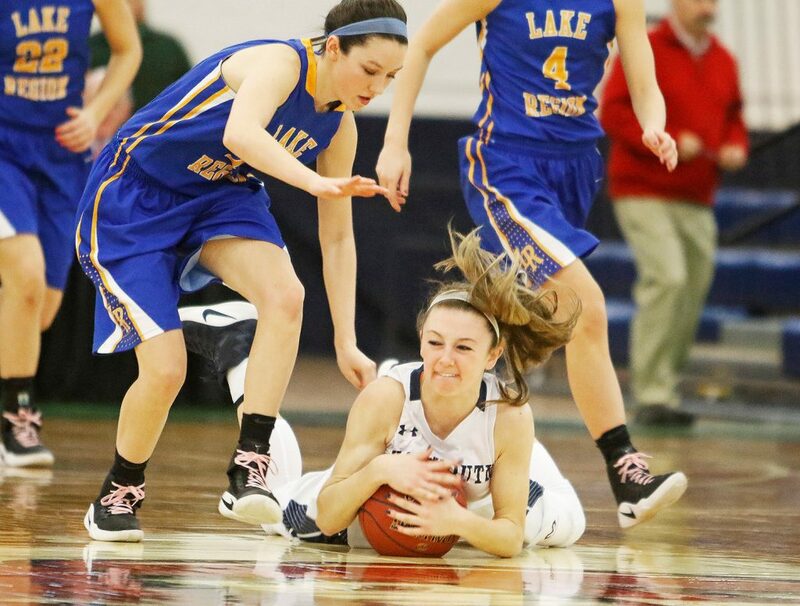 Lake Region will play either top-seeded Gray-New Gloucester in Thursday’s semifinals. Kristen Huntress led the Lakers (13-6) with 22 points – including two 3-pointers and 12 free throws. Cory Langenbach scored 12 points – all on 3-pointers – for Yarmouth (12-7), which was held to six points in the second and third quarters combined. Yarmouth swept Lake Region in the regular season by scores of 28-24 (on Dec. 13) and 32-23 (on Feb. 7). This time, Yarmouth grabbed an early 9-2 lead with the help of back-to-back 3s by Langenbach. 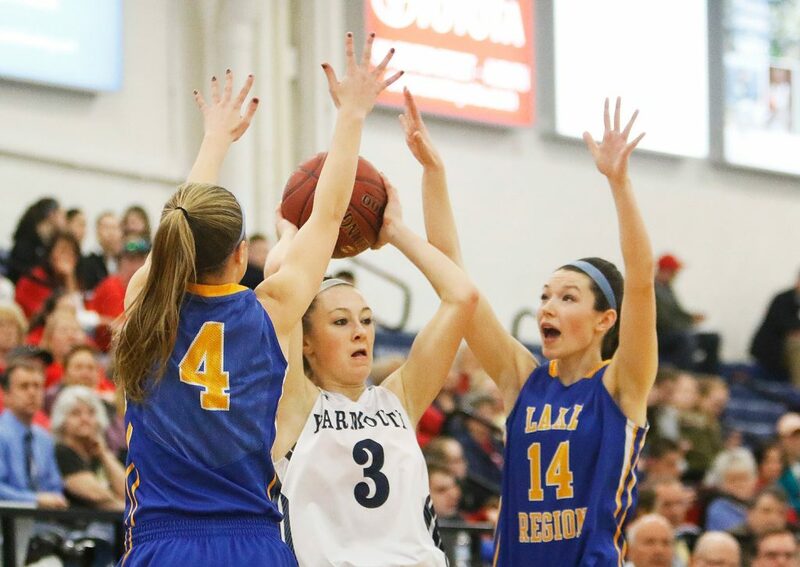 Lake Region answered with a six-point run, capped by a Huntress 3-pointer. After an Alison Clark field goal for the Clippers, Lake Region’s Chandler True hit a 3-pointer in the final 20 seconds of the quarter to tie the score at 11-11. From that point on, Yarmouth’s shots wouldn’t fall. Lake Region outscored Yarmouth 11-4 in the second quarter. 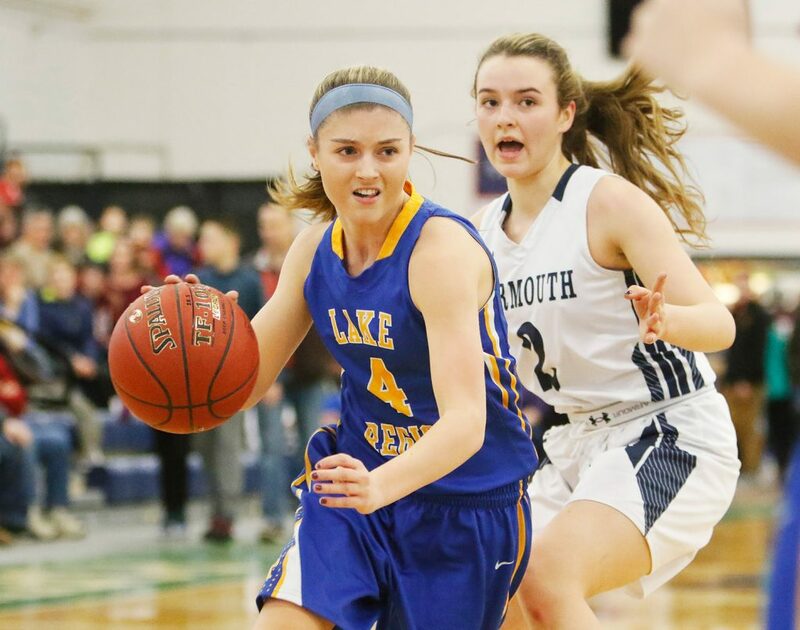 All but two of those Lake Region points came from 3-pointers, with Melissa Bonenfant notching two and Huntress sinking one. The Lakers entered halftime up 22-15. The second half featured more of the same. 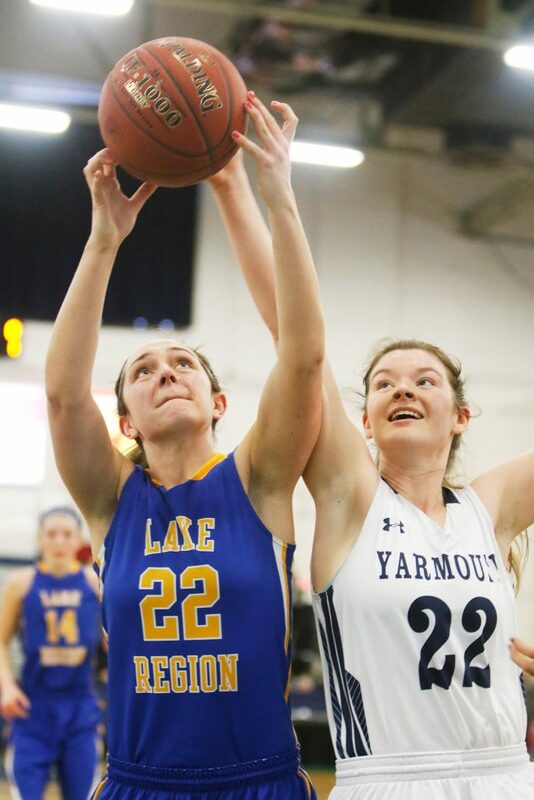 The Lakers held Yarmouth to two points in third quarter while Lake Region stretched its lead to 33-17.